Champagne, typically known as the drink of the rich, requires a lot of effort to produce each bottle even with the modernisation of the industry. Three grape types - Chardonnay, Pinot Noir and Pinot Meunierb - are all used in making a perfect combination of tastes. However, yields of grapes are decreasing due to more extreme and irregular weather patterns. Rot and mildew has affected 99% of vineyards, with the scale of the grey rot outbreaks varying. Springtime frosts, which cause the grey rot to perpetuate, are lasting much longer than they did in the 1990s, hitting Champagne-Ardenne and Burgundy regions badly. The end result is that the yield in 2016 was the worst since the 1980s, with 4% of champagne houses reporting that over half of their crops was affected by rot and mildew caused by frost and 80% of Burgundian wine houses have been affected. All houses have grape juice reserves they can use, but these are limited in terms of relief they provide and will rapidly run out if this trend of extreme weather continues, which is almost certain. Another problem is that if the vine is permanently damaged or killed, the yield in successive years will be affected. 2017 is set to have a lower yield than 2016, with grey rot becoming an increasingly grave problem. I worked in the grape fields for two champagne houses this year and, having spoken to veteran grape pickers, landowners as well as personal experience, the problem isn’t going away - I spent roughly 60% of my time in the vineyards removing rotten grapes. The result? 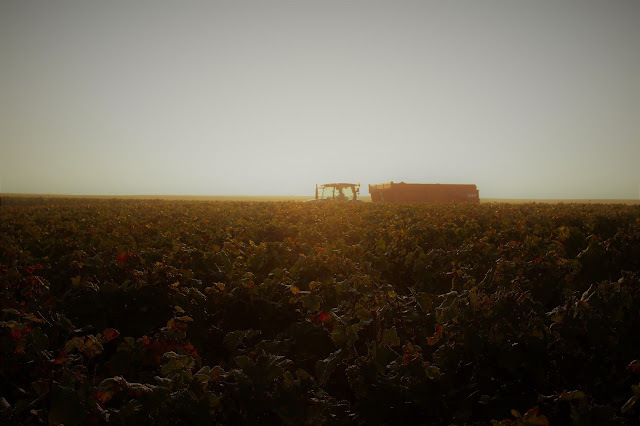 Prices are rising as the number of good-quality grapes is plummeting, yet landowners are still paying for the same number of workers to go out there and scavenge the good grapes. Grey rot is a fungus that makes grapes soft and purple and, if left untreated, will spread to other grapes and could kill the vine. The amount of rain is decreasing gradually and consistently by about 16% across 20 years as the seasons get gradually warmer. Already, prices for Chablis, Pinot Noir and Champagne are on the increase and that trend shows no sign of stopping anytime soon. The point I’m trying to make is that if prices increase as a result of spiralling costs then people will buy less of it, causing vineyards and family-run champagne houses to go out of business. French law is very restrictive in terms of business rates, labour laws and the number of dividends a business can make. Climate change is having a direct impact on grape yields that could lead to jobs losses within the champagne industry, millions in lost revenue for supermarkets and a weaker French economy. Why? Because the French economy relies heavily on exports due to the euro being a weaker currency than the dollar or the pound. However, Brexit severely devalued the pound, making the euro stronger in comparison. Whilst this is great for European holidaymakers who wish to visit Britain, it’s bad for French businesses, whose net exports to Britain total nearly $40bn alone, making Britain the 3rd largest customer for France after Germany and the US. French exports suffer because British buyers can buy less wine or champagne for the same amount of Sterling because the euro is stronger. Now imagine if that money disappeared – you’d be left with a huge gap in the French economy that contributes to French culture, French tradition and keeping unemployment figures as low as possible. The problem is that it’s not only France – Britain, Austrailia, South Africa, the US and South America all have popular wines and champagnes. All of these nations cannot escape the throes of climate change and inevitably the yield of grapes is decreasing as evermore fossil fuels are consumed. Whilst other crops are not suffering as worse a fate, it’s worth pointing out that other factors affect crops such as barley and wheat: the poor pay, a more educated young population and poor quality of life disincentivise many to take up farming as a profession as there is no money in it. Champagne and wine making, on the other hand, is a very profitable business if run properly and I personally know several family businesses which record profits running into the tens of thousands of euros. Champagne and wine are not products that are essential, but the jobs that go with it cannot be forsaken as they make up a huge section of the alcohol market. The changes in the cost buying a bottle of merlot or Canard-Duchêne champagne will become ever more noticeable as time goes on and the grape yield decreases.